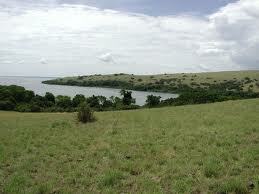 Ndere Island National Park is a small island of about 2.4km2 in Winam Gulf of Lake Victoria, in Kenya's Nyanza Province. 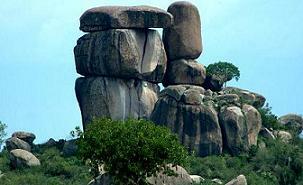 A nature's heaven approximately 425km west of Nairobi and 35km west of Kisumu city. 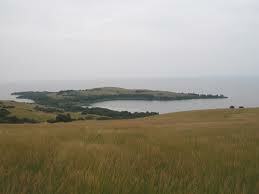 Interestingly is that Ndere Island was established in 1986 to particularly provide refuge for a small population of Impala that were translocated from Kisumu''s Impala Sanctuary,which now acts as an incentive for people to visit the island. Locals know the island as Chula Rabour, Chula meaning island and Rabour meaning red, thus Red Island. The logic behind the naming is because the island is virtually covered with Themeda grass species, whose mature flowers are reddish in colour.The vegetation is predominantly grassland interspersed with trees and shrubs. Papyrus reeds are common along the shoreline. The island is rich in animals such us crocodiles, monitor lizards, hippos and a variety of fish species on the shores while on land, impalas, baboons, vervet monkeys , sitatunga antelope, reptiles, birds with over 70 recorded species and butterflies. There is one camp site at Ndere mainland (KWS) overlooking the island with modern amenities to compliment the campsite, however there are no lodges within the parks.